This month, we’re hoping to give our followers and our readers a chance to share what they’ve been doing in their communities to serve others. We’ve all done something in our lives to serve others, and some of you are out there doing it every single day. Kudos! And while serving others and giving sacrificially is not something we should do in order to receive accolades, it’s certainly nice to be appreciated. And that’s what we’re doing now with our #HowIBuildBridges Campaign. #HowIBuildBridges is an opportunity for you to take a picture, write a blog, or create a post on social media that lets us know how you are building bridges in your community. Are you a tutor or an after-school volunteer? Are you a Bible study leader or a friendly neighborhood trash picker-upper? Do you work in the soup kitchen on weekends? Perhaps you’ve offered to take your sister’s kids to school twice a week. Whatever it is, big or small, we want to know about it! 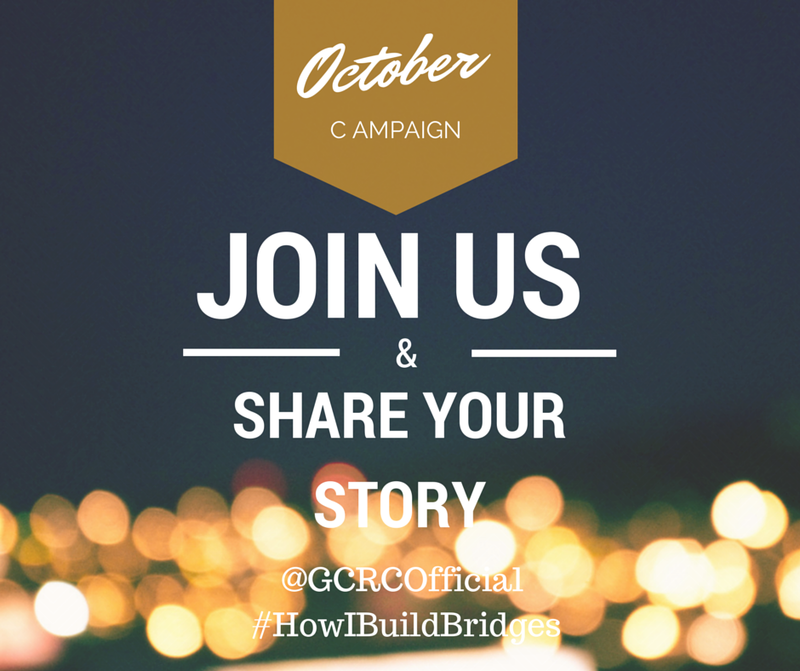 So, all through the month of October (and certainly beyond), we invite you to share your service with our agency by following us on Twitter and Instagram @GCRCOfficial and creating a post using the hash tag #HowIBuildBridges. Don’t forget to tag us! You can also Like us on Facebook and share your stories with us there. Every act of service makes a big difference in our communities and in our world. Thanks for being a part of that change!